Hardwearing, good looking and easy to care for quartz worksurfaces are growing in popularity. 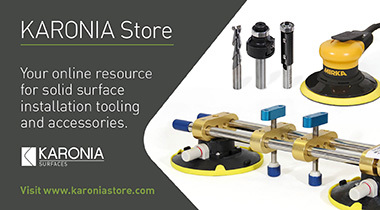 The downside with most quartz tops is that they cannot be fabricated on site, which causes delay and extra cost. The Kitchen & Bathroom Buying Group, welcomes DF Sales as a new supplier of bar stools available to its members. If you read my leaders regularly you're probably aware that I'm a bit of a hippie at heart and that one of my passions is Planet Earth and our need to look after our environment. Nature is all about balance though and sometimes I wonder at the decisions made by those in power, which leave me confused at the thinking behind them. Take clean air zones... yes, they're a great idea but if in establishing them you're preventing people from working or you're adding to pollution by preventing them from getting from A to B by the shortest route, then you could end up doing more damage than good. Just where do you draw the line? While I hate traffic pollution, I was pleased to learn today that the Taxpayers Alliance has won its campaign in Southampton, to prevent commercial vehicles from being charged £100 a day for the privilege of driving through the city. The TPA argued that in reality, it was just another unjustified attack on businesses and taxpayers. I have to agree. Just look at our industry... people travelling to and from their place of work in their vans, those carrying out repairs and/or servicing of appliances, delivery drivers, fitters, etc. Just think of the impact! Do those in charge ever think things through properly and look at the real consequences of their decisions? Finally, while I try to stay away from politics when writing, I felt swayed to congratulate Leeds-based Pland Stainless today. Why? Well with all the negative press Great Britain's been receiving as a result of the Brexit battle, which has led many of us to question whether we're capable of getting anything right, seeing a British manufacturer celebrating its Centenary has warmed the cockles of my heart. The celebrations included a tour by the Lord Mayor of Leeds and the presentation of some long service awards during a special luncheon, with a home-baked (but very professional) celebratory cake taking centre stage on the dining table. British manufacture and tradition at its best then! You can read more below and click through to the pictures via the link. The Kitchen Bathroom Bedroom Specialists Association has introduced a benefit for members that will help them access funds to invest in their business. The new partnership with peer-to-peer lending company Funding Circle, offers members a fast, efficient and flexible vehicle to raise funds, with a special KBSA members' discount off the usual fee. "This is a great benefit for our members," says KBSA national chair Richard Hibbert says". Funding Circle has a fantastic track record of lending to small businesses. I have used the company for my own business and found it to be so much easier than dealing with the banks. You can pay off the loan when you like without penalty, it is very easy to apply and I had the money within 2 days." 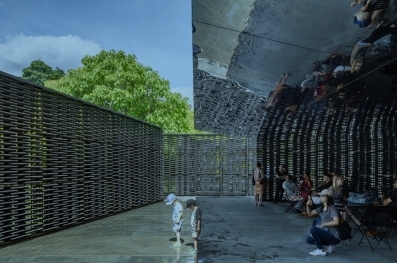 This flagship programme is aimed at showcasing the best in contemporary established and emerging voices in architecture, both in the UK and internationally, with talks taking place in London, Istanbul and regional cities in the UK. 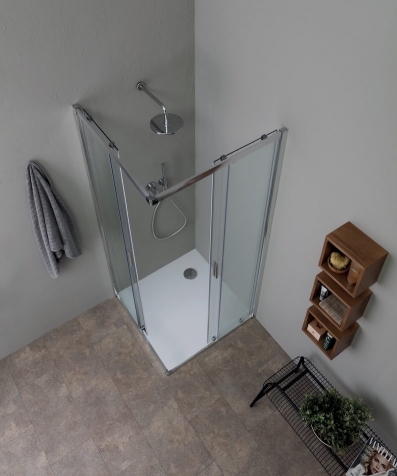 The European Bathroom Forum has circulated details of a Commitment that is required from the industry in order to develop an acceptable Voluntary Agreement for taps and showers. 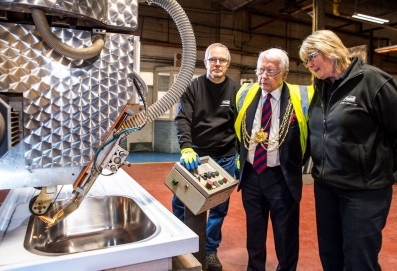 The Right Worshipful the Lord Mayor of Leeds, Councillor Graham Latty, visited Pland Stainless in Leeds this month to mark the start of the manufacturer's Centenary celebrations. As well as touring the premises, the Lord Mayor presented some long service awards and met all the staff during a luncheon to celebrate the event. Social housing providers must look for compliance and water efficiency best practice, if there is a dramatic increase in building, in response to the calls for 'millions of new homes' to solve the housing crisis, says BMA CEO Yvonne Orgill. Yvonne made the comments in response to a report from housing charity Shelter that said 1.2 million homes are needed for families who cannot afford to buy. She warned that failure to take on board the lessons learned from Grenfell could lead to another disaster unless attitudes change. BAL has made a significant investment in its sales, support and specification teams to provide a greater service provision to tilers, contractors, specifiers and distributors. The Stoke-on-Trent-based manufacturer has doubled its sales team while additionally creating a new training and technical support team of five and adding to its specification support team. The global water testing, certification and auditing organisation has recognised Altecnic's adjustable T-type thermostatic mixing valves. These products are the first to be TMV2-accredited against the recently revised 2017 version of the European Standards BS EN 1111 and BS EN 1287 which ensure thermostatic products maintain safe temperature water delivery for bath, shower and washbasin use. Luxury furniture group SMWF, owner of Smallbone of Devizes, Mark Wilkinson Furniture and Brookmans, has appointed Graham Jones (pictured) to the role of sales & marketing director. Graham joins a team led by executive chairman Ian Gray, who was appointed in September 2018 to drive forward the future success of the company. March is set to be a busy month for Saniflo with two important exhibitions. From 5th - 7th, catch the experts from Saniflo at FutureBuild, ExCel, London, on stand B165. The latest additions reinforce Cucina Colore's position as one of the best solutions for modern kitchens, providing colour and texture, alongside contemporary furniture designed for open plan living. Bridging the gap between modernist and traditionalist at heart, Art Moderne II's heritage design with classic crosshead capstan-style valves work in perfect harmony with its contemporary finish and multi-rail design: hexagonal uprights and round horizontal bars. HiB has published a new brochure to showcase exciting additions to its product portfolio and its much-loved existing ranges. At the start of a new year when many people are inspired to renovate their homes, the brochure provides a comprehensive resource for retailers and end users alike.